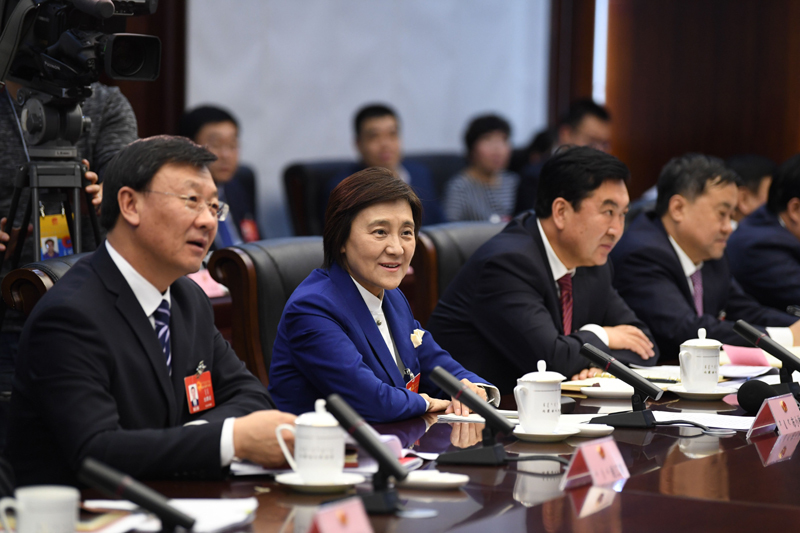 Bu Xiaolin, chairwoman of Inner Mongolia Autonomous Regional People’s Government, gave constructive instructions to further boost Baotou’s development during the discussion with delegation from Baotou municiple people’s congress on Jan 24. Bu listened to speeches delivered by Baotou deputies and conducted in-depth exchanges with them on some concerning issues. Baotou has its advantages as well as responsibility to play an exemplary role in promoting high-quality development across the region, Bu pointed out. It’s essential to prioritize innovation during the economic boosting process, and focus on supplementing the shortcomings of industrial structure. The government should reinforce the awarness of reform and opening-up, and broaden the space for further development and bring vitality towards the city, added Bu. She conveyed Baotou’s expectation to raise the level of social civilization through attaching more importance to culture and education, and being a business card of Inner Mongolia.